“Extremism” is the new “terrorism” – a word that so automatically conjures revulsion that its user is under no pressure to justify its use with logic or reason. The U.S. government and those charged with disseminating its propaganda – wait, we’re supposed to call them “talking points” now – in the media like to define themselves as the 50-yard line of politics. Like an ideological Goldilocks, neither too left nor too right but just perfect for this time and place and species, these self-described “centrists” and “moderates” vilify their enemies, opponents, and rivals with the E-word. An extremist is only an extremist in comparison to what is mainstream/centrist/moderate. Whatever system of political, religious or economic belief happens to dominate at a particular moment in time smears its opponents as extreme and therefore beyond normal and acceptable discourse. But that can change. 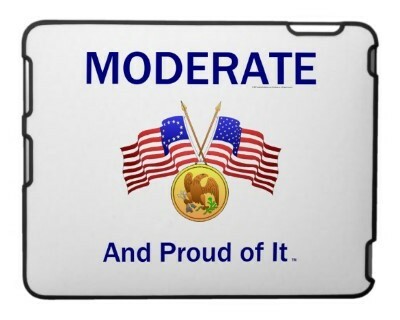 Today’s extremism becomes tomorrow’s moderation under a different system. In the quote from the Washington Post above, the deeds allegedly committed by the Islamic State are violent, brutal and arguably barbaric. But even within the bounds of ideological discourse of mainstream U.S. corporate media, there is nothing “extreme” about what ISIS did. American fighter jets routinely kill civilians in the Middle East with the same impunity – ironically, sometimes while attacking ISIS – the only difference is the weapons and tactics used to achieve the same result: death. We should demand that journalists use more specific, useful words than “extremist” to describe ideological opponents of the current system, which can credibly be called extremist in a number of important respects. It’s pretty extreme, for example, to tell sick, poor and unemployed people that they are on their own, responsible for their own trials and tribulations, and should expect no help from their government. Indeed, very few other societies in the West believe such things. Executing the mentally ill makes the U.S. basically unique in the world. And if the “exceptionalist” American legal doctrine that U.S. law applies in every other country, allowing Americans to violate foreign territory and capture suspects of interest to the U.S. isn’t extreme, I don’t know what is. The media conflates extremism with purism. Islamic State fighters want to restore the medieval Muslim caliphate and governance by Sharia law; those goals indicate fundamentalism or purism, not necessarily extremism. One measure of an adjective in politics is, does anyone use it to describe themselves? No one calls themselves a terrorist; no group calls itself extreme. When you see those words in print or spoken by a broadcaster, therefore, you know you are looking at a smear, an insult, lazy shorthand masquerading as argument. Frankly, anyone who has trouble finding legitimate reasons to oppose ISIS – beyond their supposed “extremism” – doesn’t deserve our attention. For starters: ISIS members believe in God; God doesn’t exist. They massacre innocent civilians to carry out ethnic cleansing; a pluralistic world is more interesting than a homogeneous one. Like the Taliban in Afghanistan, they are ignorant, stupid hicks; who else would behead journalists who were willing to let them tell their story? Stupid hicks shouldn’t be in charge of anything. Most dangerously, if we accept the framing of the current state of affairs as normal and that of groups and people who want to change it as extreme, few people will ever consider alternatives to the way that we do things now. Many Americans still view communism or socialism as beyond the pale, not because of what those ideologies espouse – many of them don’t know – but because they have absorbed decades of government and media propaganda describing them as fringe, weird, extreme. The result is a remarkably incurious, passive citizenry that accepts the status quo merely because it’s the status quo. This entry was posted in Blog, Columns and tagged afghanistan, Barry Goldwater, exceptionalism, Extremism, Goldlicks, Ideology, ISIS, Islamic State, Taliban, usa today, Washington Post on October 22, 2014 by Ted Rall.